Pickups are a hot commodity right now and to meet its customer demand, Ram is continuing to build its 2018 Ram 1500 and rebranding it as the 2019 Ram 1500 Classic. Ram refers to the popular legacy half-ton, internally, as the “DS” model. It will now be built with a ‘Classic’ badge for the 2019 model year and be sold alongside the all-new 2019 Ram 1500. Ram planned to build the two models concurrently while it was retooling plants to build the all-new 2019 Ram 1500. It appears that the legacy ‘Classic’ edition will be available through at least the end of the year. Ram refers to the new body style, internally, as the “DT” version. 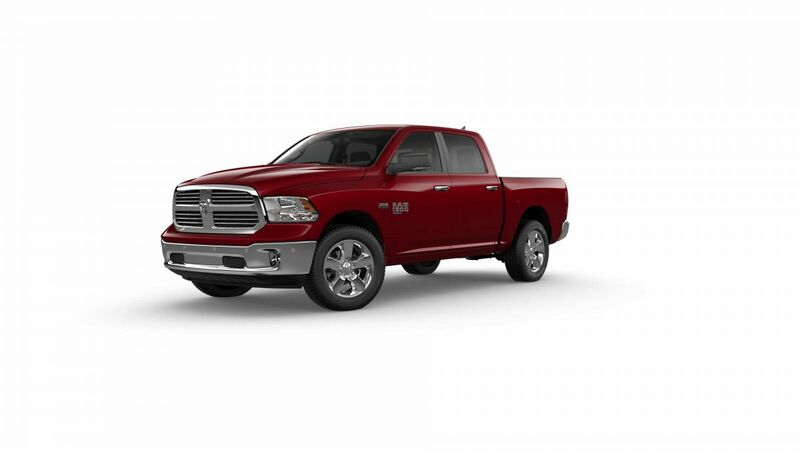 While the 2019 Ram 1500 Classic is targeted at entry level or fleet buyers, it will still be available in a number of configurations and come with enough bells and whistles to keep most truck buyers happy. The Ram 1500 Classic boasts numerous segment-exclusive features like RamBox bedside storage, hidden bins and a flat-load floor, offer unique solutions for owners who need plenty of room for cargo. The new ‘Classic’ badging is located on the fenders. While the 2019 Ram 1500 Classic is less fancy than some of the higher end Rams, it will still feature four trim levels, Tradesman, Express, Big Horn/Lone Star, and SSV (Special Services Vehicle). •	Chrome Plus is offered on the Tradesman trim, and offers chrome bumpers, body color upper front fascia, 17” wheels, remote keyless entry. •	Tradesman SXT is offered on the Tradesman trim, and includes chrome bumpers, body color front fascia, 5-inch radio, fog lamps (new to Tradesman), dual exhaust on V8 models (new to Tradesman), and 20” chrome wheels (new to Tradesman). •	Express Black Accent Package is offered on all Express trim exterior colors which includes Black wheels, Black headlight bezels and Black badging. The 2019 Ram 1500 Classic will be available in 4x2 or 4x4 versions. It will feature 3.6-liter Pentastar V-6 or you can upgrade to a 5.7-liter HEMI V-8. An optional 3.0-liter V-6 EcoDiesel will be available at a later date. The 2019 Ram 1500 Classic is being built at the Warren Truck Assembly Plant, in Warren, Michigan. Regular Cab and some Crew Cab models of the 2019 Ram 1500 Classic are being built in Saltillo, Mexico. Ram says the 2019 Ram 1500 Classic will be available through the end of the year. Ram is not saying how the two 2019 Ram 1500 versions will compare in price. You can compare the two models at Safercar.gov.